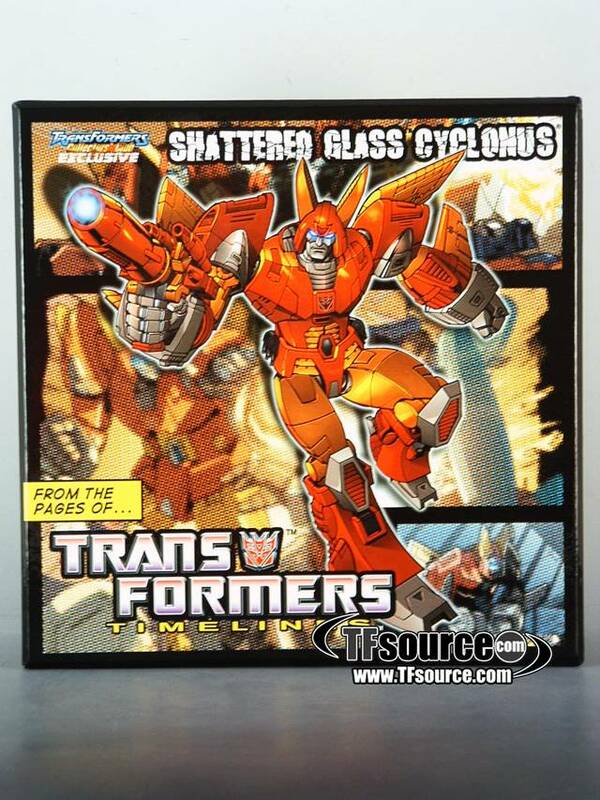 This is the Transformers Collector's Club exclusive Shattered Glass Cyclonus! Cyclonus has always found loyalty to be merely a means to an end. 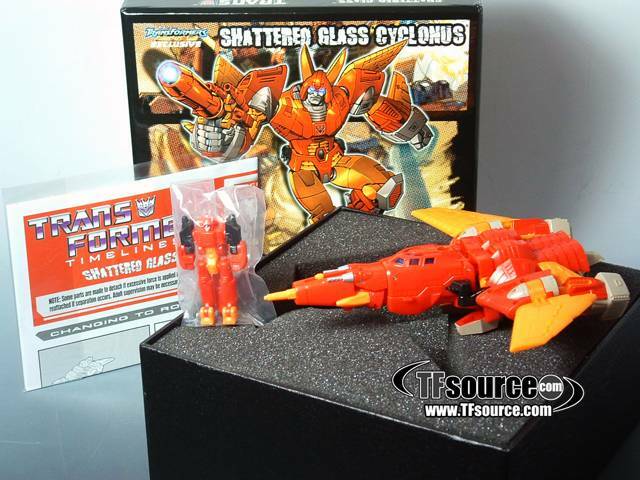 However, the war has changed and Cyclonus may have changed as well. With the help of his new Targetmaster, Krunix, Cyclonus seeks to leave his old ways behind so that he can once again be deemed a worthy soldier in the Decepticon ranks. 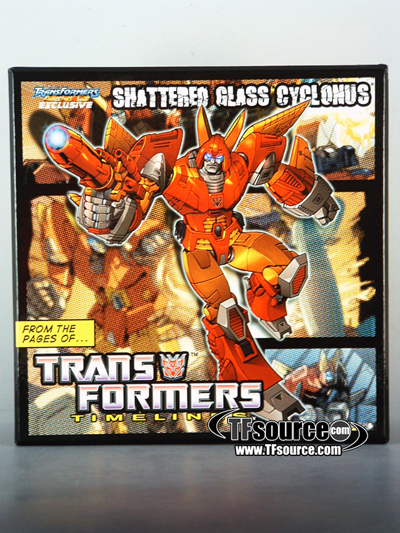 Cyclonus is a Deluxe sized figure from the Shattered Glass Universe. A heroic Decepticon, Cyclonus comes with his targetmaster partner Krunix. This small ally changes into Cyclonus weapon which can be used by the Decepticon in both robot and vehicle mode. 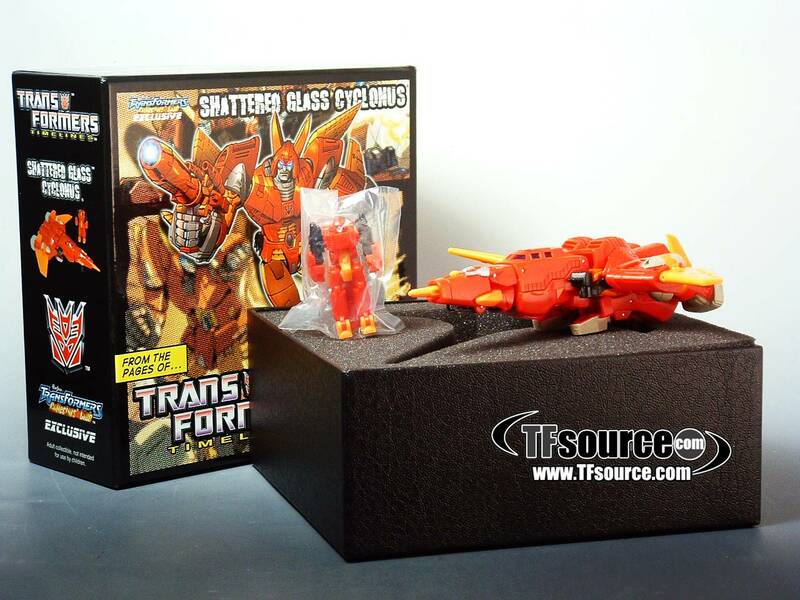 The toy is packed in a convention style box with a foam insert for easy removal and display. Note: Item does not come MISB, each piece is MIB.